Though I am missing my beloved Value Village here in Houston, I am not exactly suffering a lack of thrift shops. 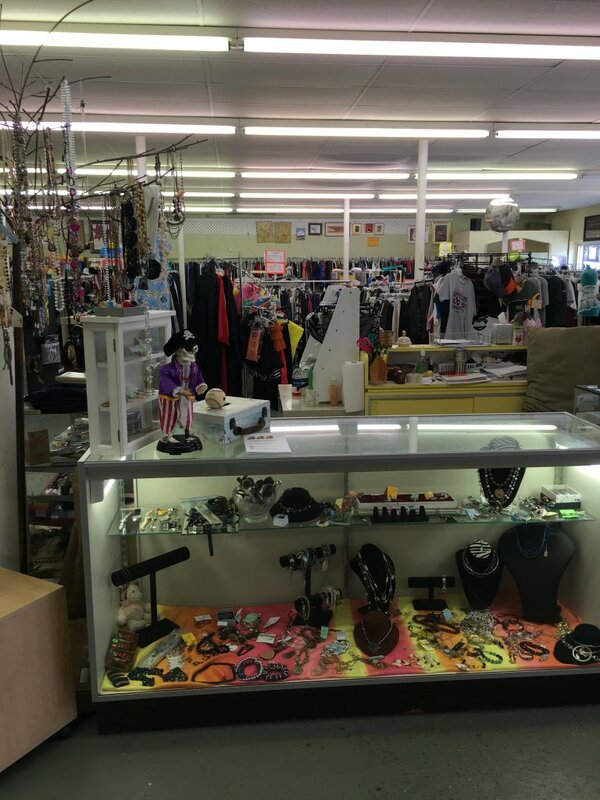 Au contraire – there is a plethora of Goodwill stores, Family Thrift Centers, and lots of “little thrift” shops. 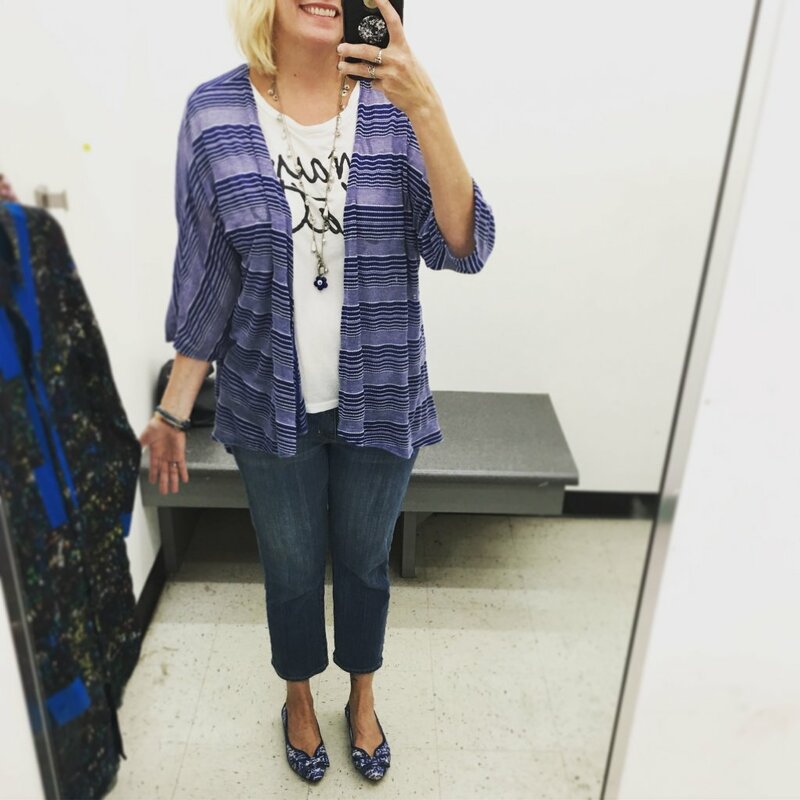 By little thrift, I mean smaller (though not always) local thrift shops that usually are non-profit and support the community in some way. 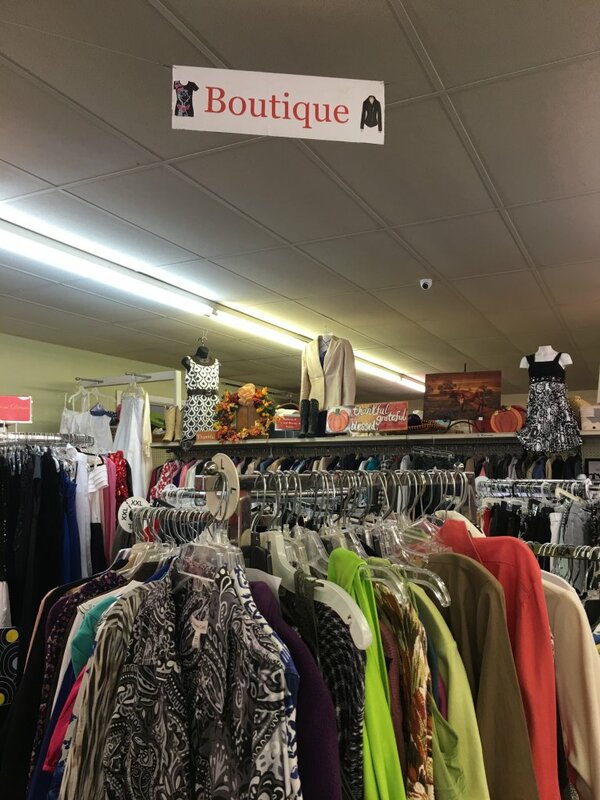 I have discovered Katy Christian Ministries, Sunshine Thrift Shop, small Value Village (not Savers, the US equivalent to Value Village in Canada), and most recently The Guild Shop, The Assistance League Thrift Shop and The Cottage Shop. AND I am only just getting started exploring the suburb cities around Houston, like Tomball. I have to thank Laurie of Laurie Pop for introducing me to the quaint streets of Tomball which is northeast of Katy, about 45 minutes away. Could it be?!! 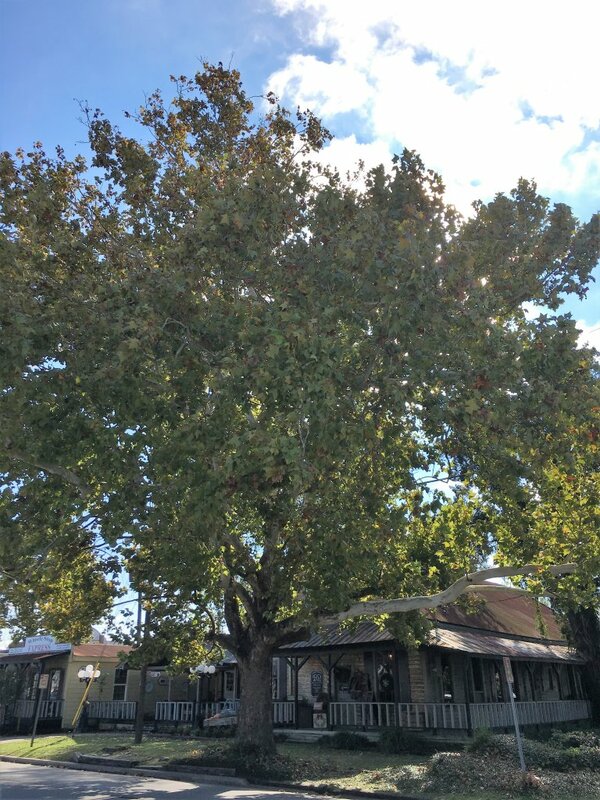 Leaves changing colour?!! I’ll take it! 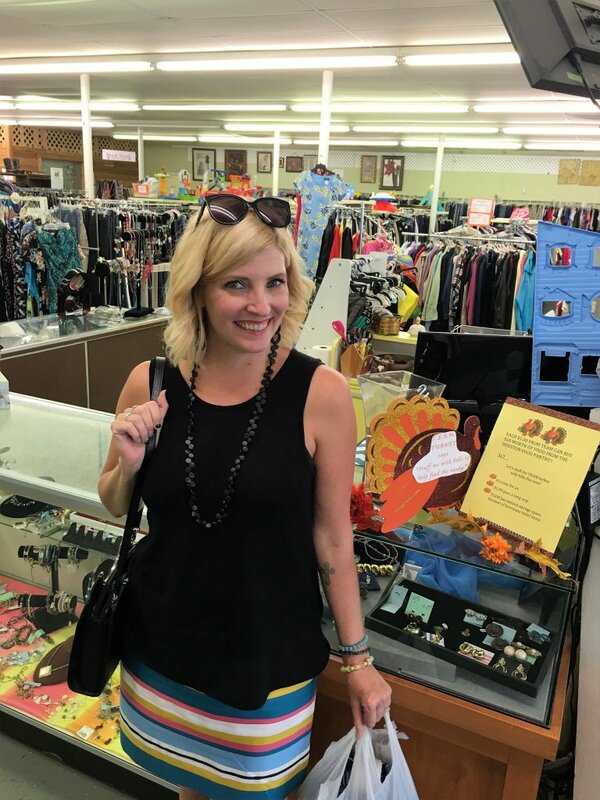 I went with Laurie to Tomball about a month ago and again this week with my Canadian visitors and my favourite part – aside from yummy lunch cocktails – was TEAM Tomball Resale and Assistance, the little local thrift shop! 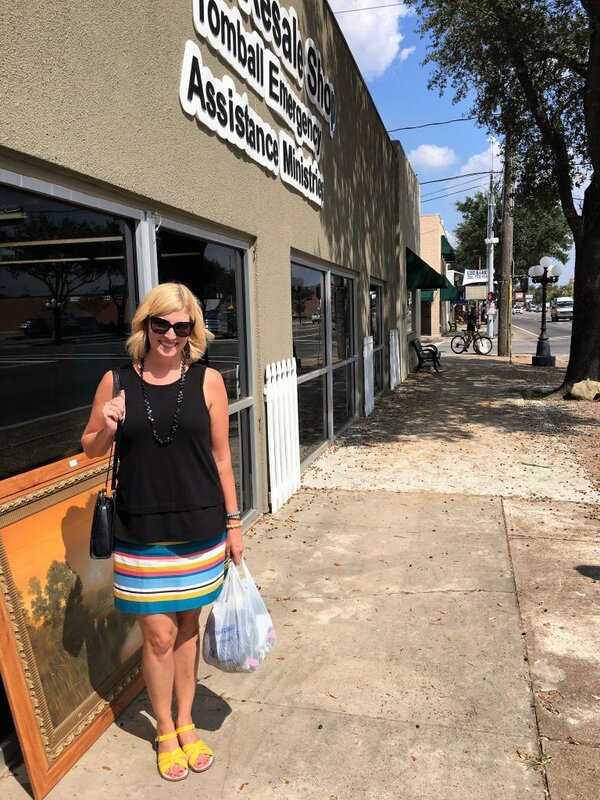 I love when thrift stores have some wares outside – which you *can* do here in Texas! Gives that small town vibe. 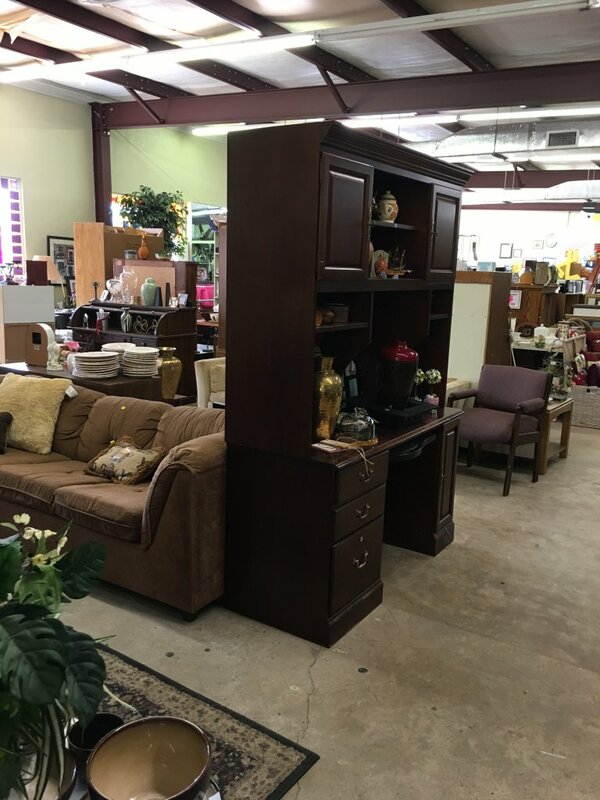 TEAM stands for Tomball Emergency Assistance Ministries and TEAM Tomball provides food, clothing, household goods and financial assistance to support the community in the name of Christ, and they have a fab Insta feed! Both my visits were unfortunately rushed but I plan to come back (maybe with Mary??!) and give this shop the attention it deserves. I could spend hours! Plenty of shoes and clothing racks for women, children and men! 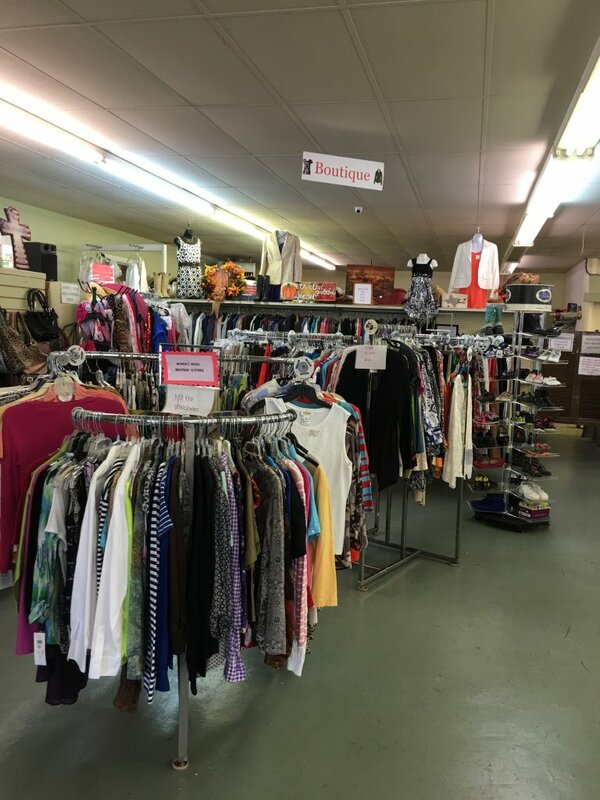 Love when little thrift has a “boutique” section of designer pieces or NWT. 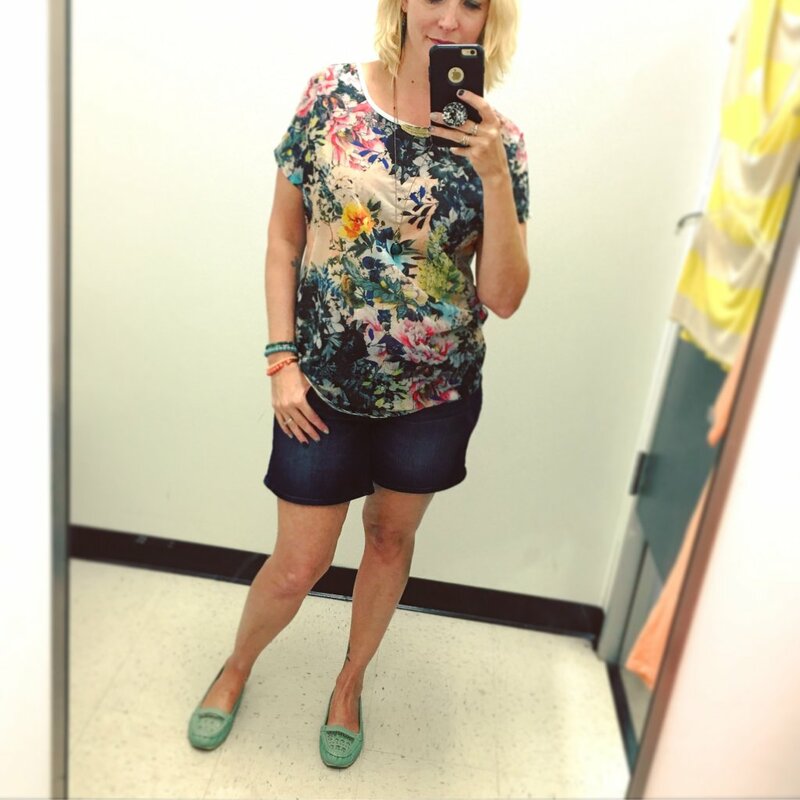 This is where I found new with tags Lula Roe t-shirt dresses and a cardi – for $8 each! 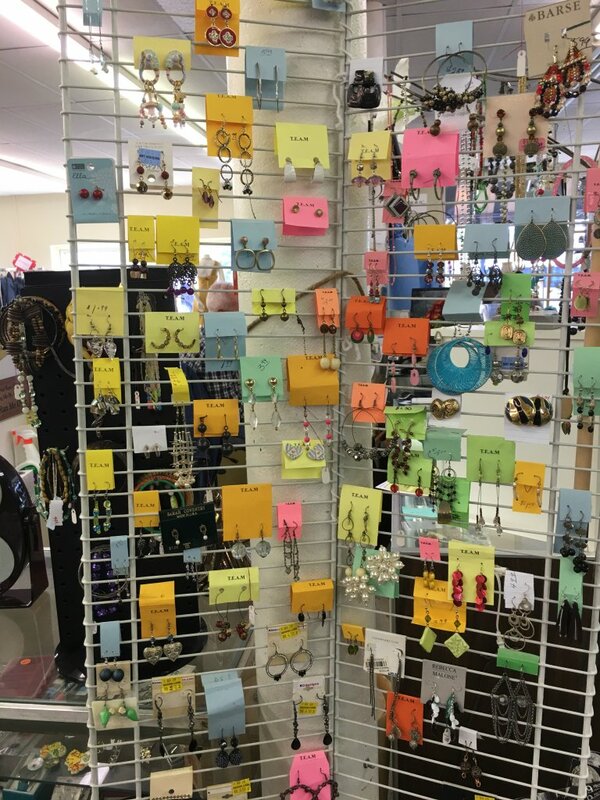 You never know what you’ll find in the accessories racks! 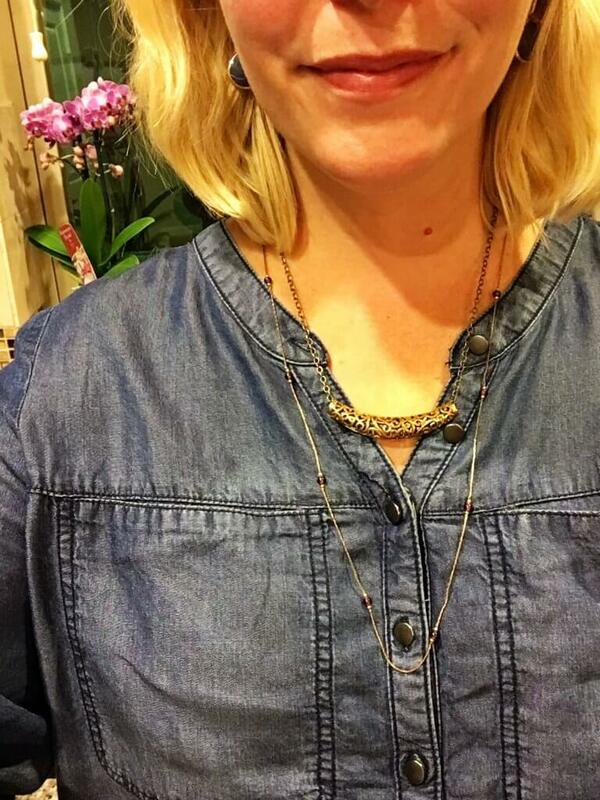 I found a pretty delicate gold necklace for $2! It’s the one on the bottom! I barely had time to browse the housewares but there is a HUGE room filled with furniture and housewares. Looks like an invitation to me! 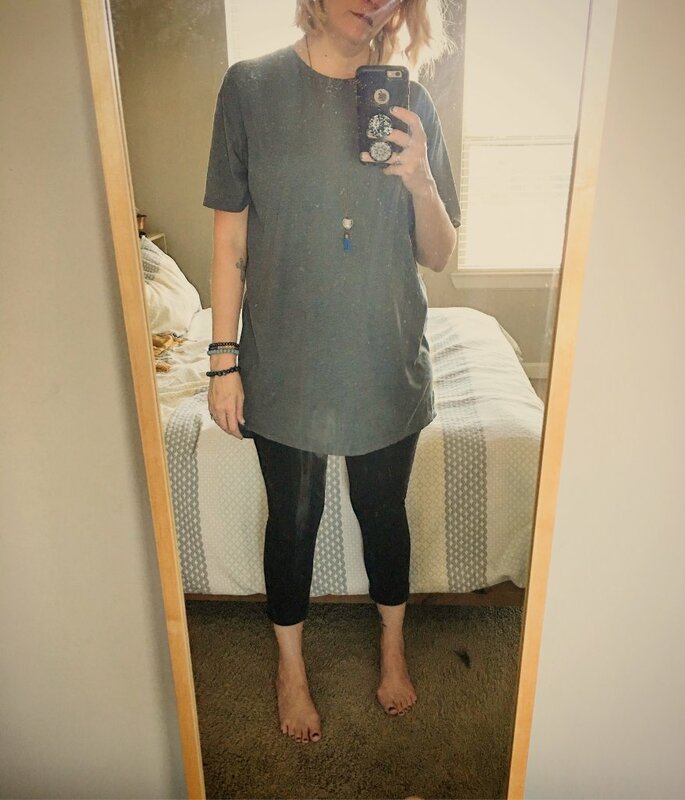 Okay, I don’t think I can call this a dress on me!! I got this one in blue and another in olive-green. They’re hugs is what they are, wearable hugs. $1 for this Tribal top. It’s already at 33 cents per wear. I LOVE THRIFT!!! When in Tomball, you *must* go to the TEAM Resale Shop!! Better yet, call me up and I’ll meet you there!! 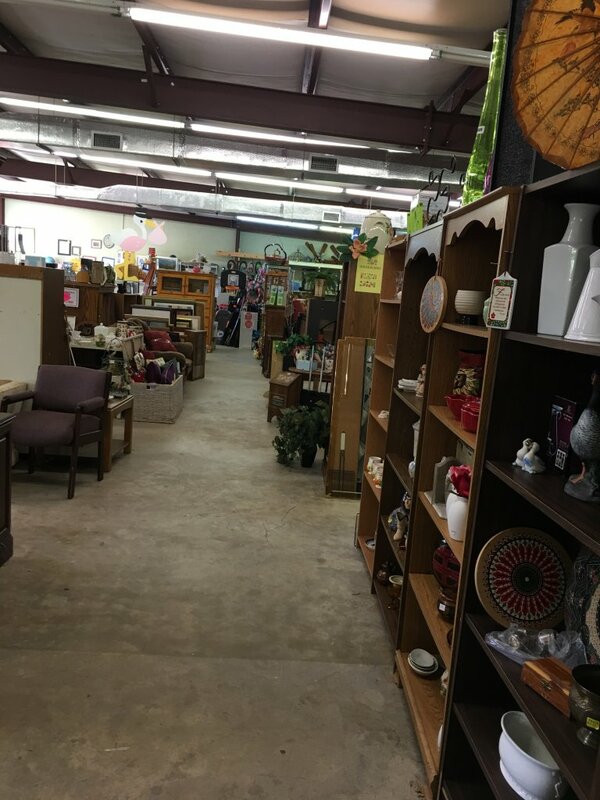 Thanks TEAM Tomball for your amazing work in the community and for running such a lovely shop (mostly by volunteers, I should add) – a thrifter’s paradise! ❤️❤️yesssss on the “with Mary” part!!!! As soon as my Canadian guests are gone, we will go!! !